ECG, EEG and EKG are acronyms often associated with diagnostics in a medical setting, particularly when there is a need to evaluate the function of the two vital organs that sustain and stabilize a living human being – the heart and the brain. ECG stands for Electrocardiography (cardio- means heart) and EEG is an acronym to mean Electroencephalography (encephalo- means brain). EKG is just another term for ECG. This is because when it was being developed in Germany it was called EKG. 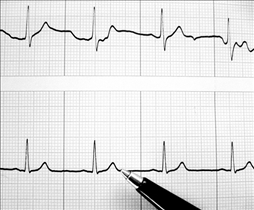 ECG and EEG are staple diagnostic tests performed in the aspects of cardiology and neurology. The main function of an ECG (otherwise known as EKG) is to evaluate the electrical impulses of the heart. The heart can be likened to a pump which requires energy in order to perform. Thus, these electrical impulses get the heart to pump. If there is something abnormal about the rhythm of the heart, an ECG or EKG helps in the interpretation of the cardiovascular illness. On the other hand, an EEG is performed to analyze the electrical impulses of brain cells called neurons.These neurons are what make one think and perform actions. Any abnormality in the activity of neurons in the brain can be suggestive of neurological disorders such as epilepsy and a coma. An ECG or EKG is performed by placing electrodes in various body parts like the chest legs and arms to detect electrical impulses from the heart, then a computer linked to these print out a graphic representation of the activity obtained. Doctors and other health-allied professionals are trained to read the graphical tracing to determine whether it is normal or not. 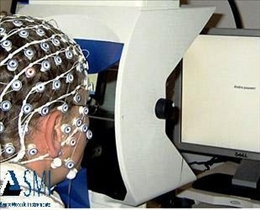 An EEG is performed by placing similar electrodes on the scalp in order to record the spontaneous electrical activity of the brain or nerves. This is usually performed for 30 minutes on an average. People with seizures, tumors and other neurological illnesses will present with abnormal readings. There are no special preparations prior to an ECG or EKG. It will involve lying quietly on a flat table for about 10 minutes while electrodes are attached to the body. There are no side effects or risks and there have been no reports of pain and discomfort during the procedure. A person undergoing an EEG is reminded to wash the hair a night prior to the test and not apply any oils, conditioners or sprays. Medications, caffeine and energy drinks must be stopped a day before the test. There are no feelings of discomfort when the electrodes are attached unless there is considerable nerve damage. ECG or EKG stands for Electrocardiogram. EEG means Electroencephalogram. An ECG measures electrical activity of the heart. An EEG evaluates electrical impulses of the brain and nerves. An ECG is used to detect heart ailments in patients who have suffered heart attacks or abnormal heart rates. An EEG is a staple test for patients with seizures, tumors, coma or nervous disorders. Which one tests brain waves? The article states ECG and EKG are different abbreviations for the same thing. Then the video begins with statement saying EKG and ECG are the exact same but then she says an ElectroCardioGram is different than an EKG and she explains the difference and it seems like a big difference.